I am keeping this post short & sweet. 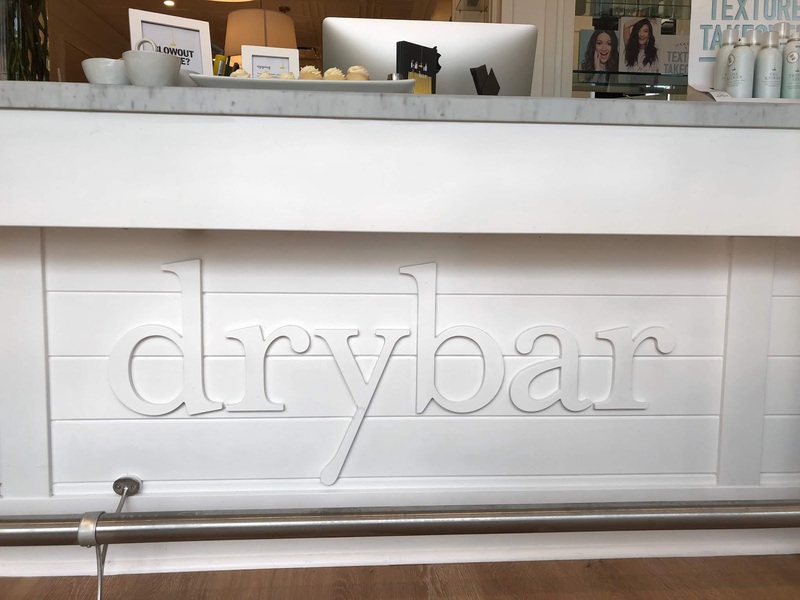 Last week, I got invited to the grand opening of the Drybar that newly opened up in Birmingham. "Bham" is one trendy and adorable burb' of Detroit. 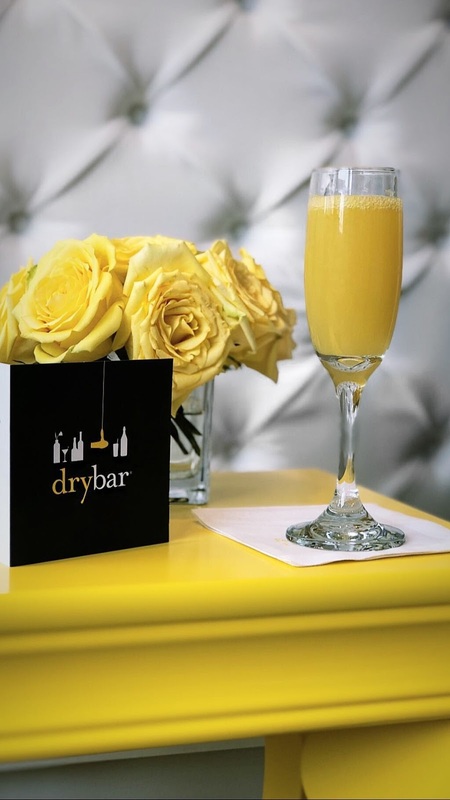 If you are looking for a cute place to sip on some Prosecco with your favorite girlfriends, look no further. I will admit, I am newbie to the blow out scene. Needless to say I was super excited for an evening of pampering! Imagine walking into not only a gorgeous salon, but then greeted with champagne and the freshest and lightest aroma. Kelly (@kj_and_hairspray) was my stylist for that evening. First, she washed and conditioned my hair with their On The Rocks shampoo and conditioner. 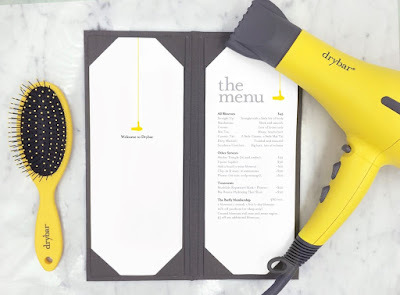 My hair instantly felt healthier and smelled AMAZING! Now it was time for business...deciding what blowout style to choose. They have a menu of pictures with different styles, but I went with some voluminous and textures waves (I think it may have been a called the "Mai Tai). Kelli was the best. 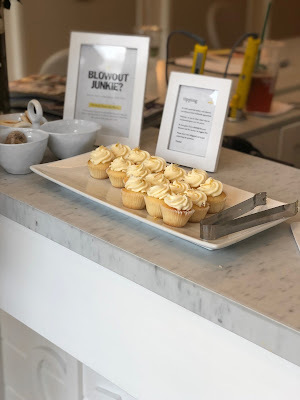 We chatted about life, hair styles and all things you can imagine while getting your hair blow out perfectly. Can I say "everything"? As I mentioned, the salon itself is gorgeous. 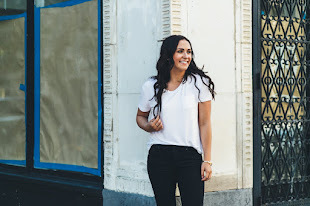 I loved the talented staff, hair results and truly the overall client service. It wasn't stuffy or felt like you couldn't touch anything. The environment was fun, trendy and truly somewhere where I can kick back, treat myself and sip on a cocktail. As I said, I got a mixture of their tailored menu services. The stylists are willing to work with you on whatever you want- I loved it. I wanted some volume but nothing to sleek. Kelli added some fun waves for texture and it turned out amazing. Oh hell, yes. As someone who has never been, I was so curious as to what all the hype is about. Now I can see why! My hair felt light and fresh all weekend! Thank you again for having me Drybar! I will be back soon! 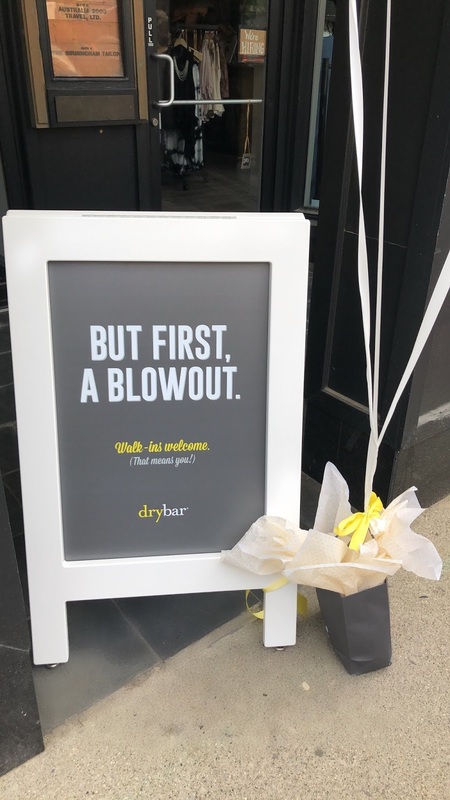 *This was a sponsored post by DryBar. All the thoughts and opinions are my own.